A few weeks ago Joshua & I escaped the grey Scottish skies for somewhere a little brighter. We headed off to Mallorca for his (super belated) birthday trip and it was AMAZING. I always kind of thought of Mallorca as being super-Brits-abroad territory but last summer Josh & I really got into Frederic Chopin (by playing a surreal Japanese video game about him all summer - is that weird? It sounds really weird when I try to describe it. ANYWAY, we like Chopin, now, okay?). 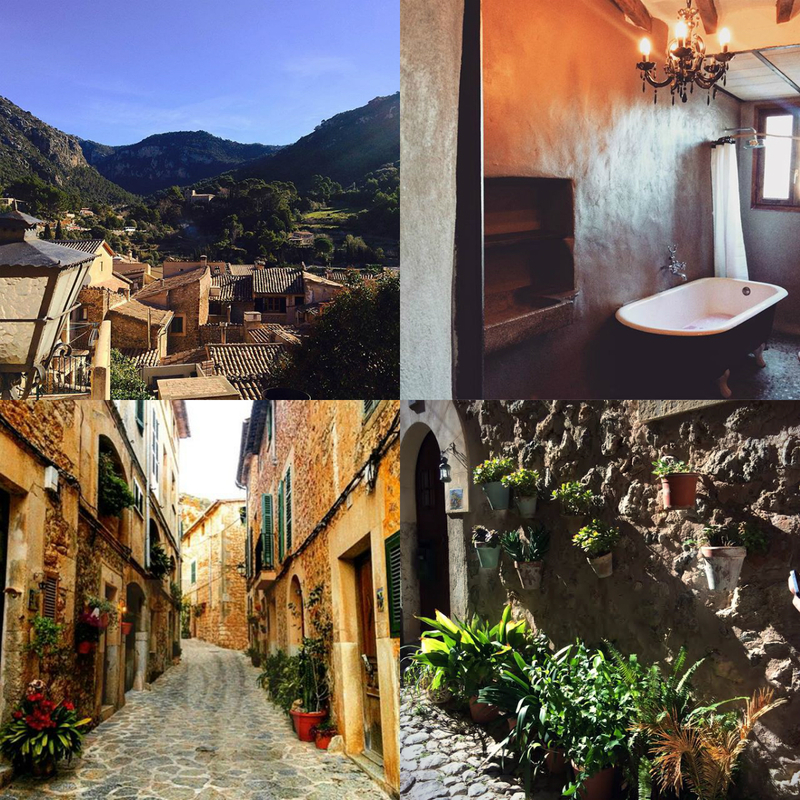 The game tells the story of Chopin's life, and one of the places that kept coming up was Valldemossa - a small Spanish village where Chopin lived and wrote some of his most famous works. 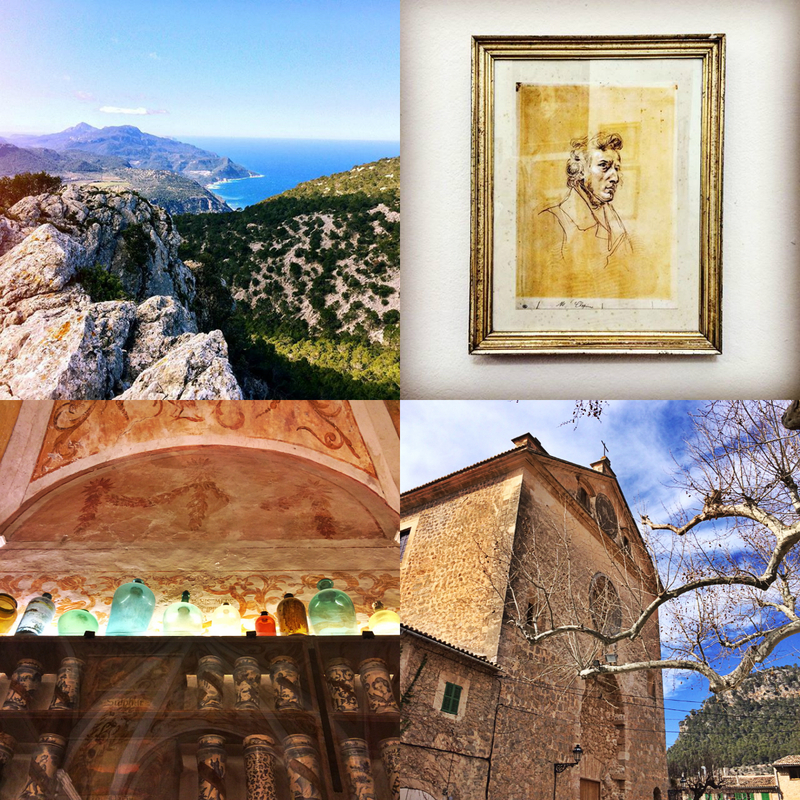 We had joked about going on a video game/Chopin pilgrimage, but then when I was looking for holiday inspiration, Valldemossa kept ticking all of the boxes. Beautiful location, cheap and quick flights, ace Airbnbs, lovely weather - check check check! I was so impressed at how easy it was to get to Valldemossa from Edinburgh. We flew to Palma from Edinburgh with Jet2, which only took about two hours and was a total bargain. Then we got the airport bus to Palma bus station, and it took another 30 minutes to drive from Palma to Valldemossa. I booked this beautiful apartment on Airbnb, mainly because I was quite obsessed with the bathroom - check out that bath! It was really perfect for what we needed, with a gorgeous balcony that looked out over old rooftops and mountains, loads of space, and a great location in the middle of town, just round the corner from a bakery. The hosts were really good too - picking us up from the bus stop and driving us to get firewood and wine (the essentials) before they gave us keys and left us alone. I can't imagine travelling and not using Airbnb these days - you get so much more for your money, and you get your own wee house! If you're thinking about using it, do it (and use this link if you'd like money off!). Valldemossa is a beautiful old quiet town, and had the perfect amount of places for us to explore over a long weekend. We OF COURSE went straight to the Monastery where Chopin lived with his lover, and it was really moving - they had his actual piano, books and sheet music, and you could explore his rooms and stand in his very peaceful garden, looking out over the hills to Palma. The whole monastery is really fascinating, and you can explore old rooms, including the monks' library which is filled with ancient books and maps, and the old pharmacy which has shelves stacked high with old bottles, vials, and mysterious looking potions. We spent a fair bit of time reading our books and drinking wine in the sunshine, but also went on a proper adventure - exploring the Archduke's Way, which was a 4 hour hike up a mountain... a bit exhausting, but totally worth it for the amazing views we got over the island. 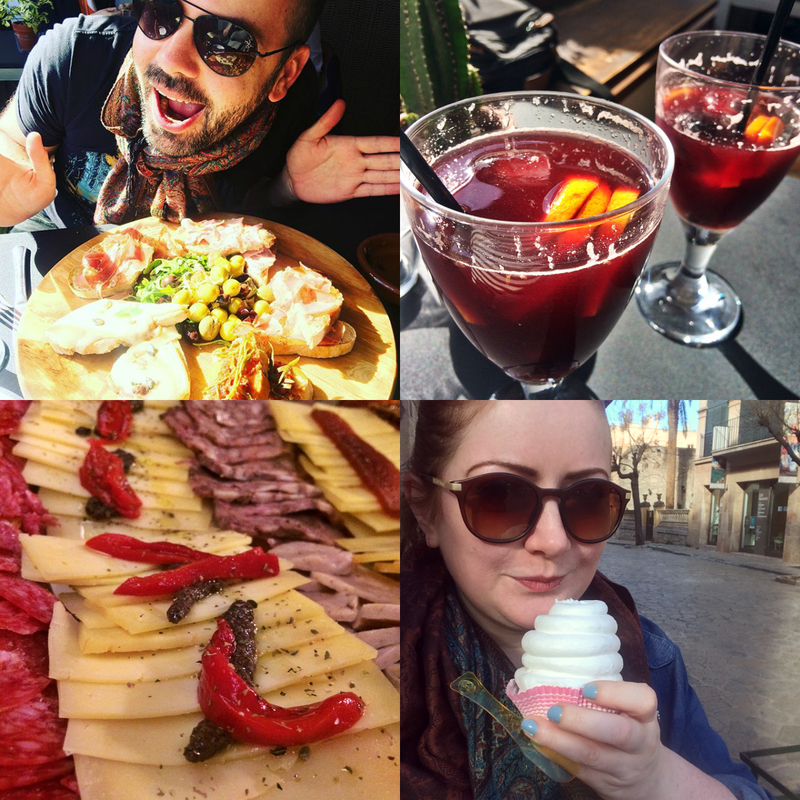 Spain is the home of cheese, meat and wine, so we consumed all three with gusto. The best place we went was a tiny restaurant called QuitaPenas, which was just around the corner from our apartment and served the most amazing tapas, made entirely from local ingredients. Valldemossa's speciality is the coca de patata, a sweet cake made from boiled potatoes, which sounds odd but was delicious. We had these for breakfast every day for the local bakery, which was also packed full of tasty-looking pies, cakes, and meringues (I broke my sugar ban to eat the world's biggest meringue, because of course I did!). As we were in Valldemossa in the off-season, it was surprisingly difficult to find a restaurant that was open in the evening, but every night we managed to find somewhere to go (even if we did have to explore every tiny street before we chanced upon a lit up door). Oh, I want to go back already. SO lovely.